Ninja carrot is ready to take on anyone who thinks of making him into a cake! Don't even try it, he's prepared for anything with his awesome ninja skills. He moves silently, attacks powerfully and sees in the dark really, really well. 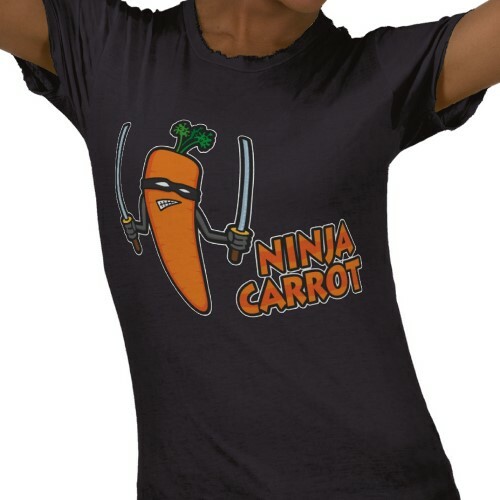 Get yourself a Ninja Carrot Name T-shirt. The same awesome Ninja Carrot but with no text and a coloured background instead. 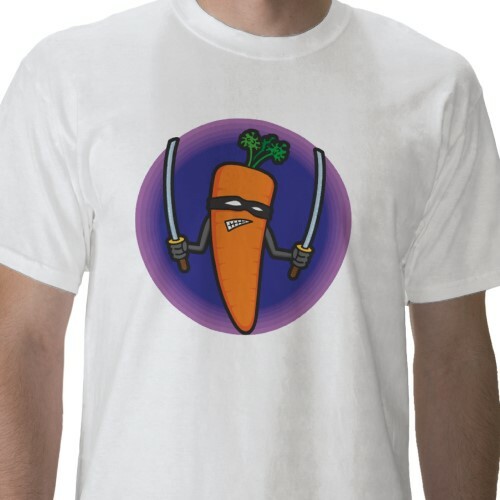 Get yourself a Ninja Carrot Badge T-shirt.